KBIC member submitted a formal request for discretionary review of the FAA obstruction evaluation of the Summit Lake Wind Project. The Keweenaw Bay Indian Community is a key partner in the Friends of the Huron Mountains' effort to stop a proposed industrial wind farm project in Michigan's Upper Peninsula on a site that includes the state's highest wilderness scenic points. This article sums up the federal government's obligation - guaranteed by treaty - to consult … Continue reading KBIC member submitted a formal request for discretionary review of the FAA obstruction evaluation of the Summit Lake Wind Project. Voters To Decide On Wind Project. 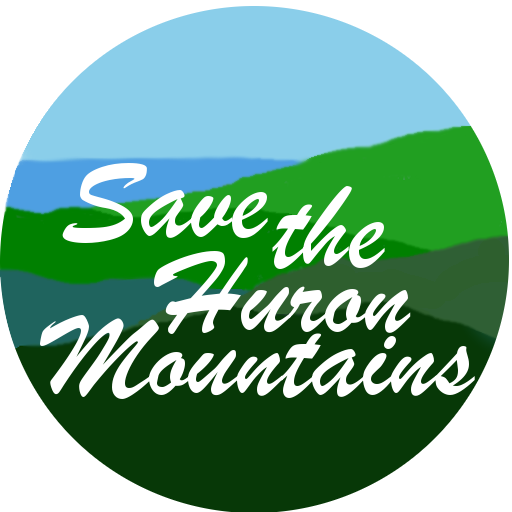 Canvassers from the Friends of the Huron Mountains (FOHM) group turned over 400 signatures to Clerk Brian Jentoft on Friday November 13, 2018 | JOSHUA VISSERS | The Mining Gazette L’ANSE TOWNSHIP — Canvassers from the Friends of the Huron Mountains (FOHM) group turned over 400 signatures to Clerk Brian Jentoft on Friday. UPDATE: Final … Continue reading Voters To Decide On Wind Project. Weyerhaeuser v. U.S. Fish and Wildlife Service Supreme Court Case. Why a Supreme Court case over a single frog could jeopardize wildlife for years to come October 2, 2018 | Mark Rupp, EDF's Wildlife Campaign Director. | Environmental Defense Fund Highlights The first case of the Supreme Court’s new term could set a dangerous precedent for how we protect habitat that species may depend on in … Continue reading Weyerhaeuser v. U.S. Fish and Wildlife Service Supreme Court Case. This Letter from Weyerhaeuser was made available by the Planning Commission at its Public Hearing on September 27. The company's request has implications for the proposed project, including the number of turbines, their size and setback requirements. The devil is in the details, which aren't revealed. For example, what does "more energetic turbines" The Planning Commission … Continue reading Letter from Weyerhaeuser made available by the Planning Commission.